Dr. Tammy J. Lindsay, a Van Buren native, retired after 21 years of service in the United States Air Force. She received her medical degree from UMKC—School of Medicine in 1994. Dr. Lindsay began her Air Force career at Scott Air Force base. In 2006, Dr. Lindsay won the prestigious Family Physician of the Year Award for the Uniformed Services Academy. Additionally, she currently has her acupuncture board certification and takes great pleasure in utilizing this alternative tool to treat appropriate conditions. Dr. Lindsay serves as Medical Director for Missouri Highlands and is very pleased to be serving her hometown communities. 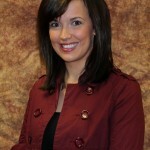 Ashley Oldham, FNP-BC is a graduate of Southeast Missouri State University. Ashley is a native of rural Ripley County, in Southeast Missouri. Ashley enjoys caring for patients of all ages. She also enjoys practicing in women’s health. In Ashley’s spare time she enjoys spending time on her farm, just outside Naylor, where she lives with her husband and two children. She enjoys fishing and watching Cardinal baseball. Dr. Camire began his career as a Physician’s Assistant in the United States Air Force in 1976. He graduated from the Des Moines University College of Medicine in 1997 and began practicing as a Family Physician. He was named Physician of the Year in 2005 by the Missouri Home Care Alliance. He enjoys treating patients of all ages and has a passion for serving rural communities. Richard Hester, MD is a graduate of Ross University in the Caribbean and completed his residency in Lincoln, Nebraska. Dr. Hester has been practicing family medicine for 6 years. While he enjoys treating patients of all ages, Dr. Hester especially enjoys working with children. Dr. Hester relocated from the Kansas City area and his family will soon follow. Dr. Hester’s passion for serving those in rural communities fits well with Missouri Highlands’ vision and mission. Dr. Hester is now scheduling patients (newborns to adults) Monday-Friday at Missouri Highlands Medical Clinic. Dr. Bradley Daniel is a native of Arizona. He is a graduate of A.T. Still University – Arizona School of Dentistry and Oral Health. After graduation Dr. Daniel moved to Missouri to pursue his dental career. Dr. Daniel schedules patients Monday – Friday at the Iron County Dental Clinic located in Pilot Knob, MO. Marsha Shivley is a 2008 graduate from the Missouri University in Columbia, MO. Marsha is a Family Nurse Practitioner, but she also specializes as a Adult Psychiatric Nurse Practitioner. Marsha is seeing patients at our Missouri Highlands Medical Clinic in Poplar Bluff, MO. Deana joined Missouri Highlands Health Care in March of 2012. As a Licensed Clinical Social Worker, she provides Behavioral Health services to clinics in Pilot Knob & Viburnum. Deana also sees patients from Annapolis, Ellington, and Black through Missouri Highlands’ Tele-Health System. Deana is a graduate of the University of Missouri, St Louis and has worked in the mental health field since 2005. As a Behavioral Health Consultant, she provides behavioral interventions to help patients develop practical knowledge and skills to improve physical and mental health. 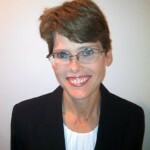 Susan Norris, FNP is a graduate of St. Louis University. Susan has been a resident of Shannon County for over 25 years. She considers it a blessing to have the opportunity to work close to home. Susan is dedicated to rural life, understands the challenges of rural healthcare, and desires to make a difference in the quality of life of her patients. In her spare time, Susan enjoys the outdoors and spending time with her husband, Daryl, their six children, and one grandson. Susan is scheduling patients (children and adults) Monday through Friday. St. Louis native Judy Medley has been the main source of primary care in Annapolis for several years. Today, the clinic where she practices is the Annapolis Family Clinic, a service of Missouri Highlands Health Care. Judy is a graduate of the University of Missouri-St. Louis. She holds a master of science in nursing, with a clinical specialty as a family nurse practitioner. Judy is certified in both family practice and pediatrics. Robin joined Missouri Highlands Health Care in December of 2011. As a registered dietitian, she provides nutrition education at all of the Missouri Highlands clinics on a bi-weekly to monthly basis. Robin is a graduate of the University of Missouri (Mizzou). She received a master of science in gerontology from Kansas State (K-State) in May 2011. She is a certified diabetes educator with over 20 years of experience teaching diabetes management skills. Call your local Missouri Highlands clinic to schedule an appointment with Robin.